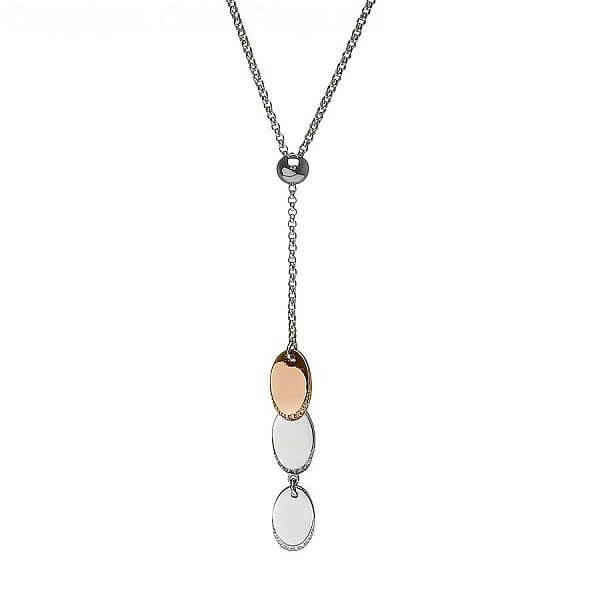 Three oval discs form this delightful pendant. 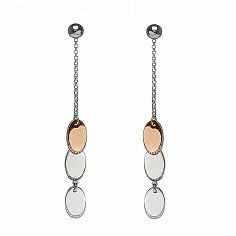 Two of the discs are made from the finest Sterling silver and lined with sparkling cubic zirconia. 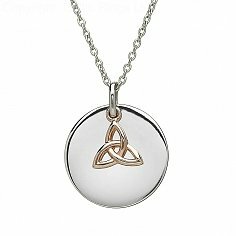 The third disc is crafted from rare Irish gold, mined in the mountains of Tyrone. 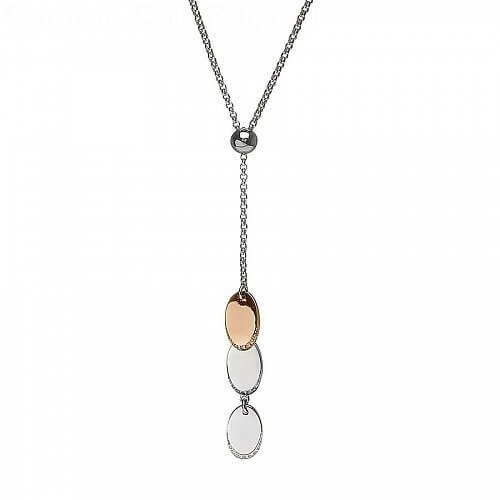 Wonderfully presented in a crafted wood box, this pendant comes with its own certificate of authenticity.